On the weekend of Oct. 5 to 7, 2012, Ubar Grotto hosted the annual meeting of the Pennsylvania Grotto Association at the Holiday Inn Harrisburg East, in Harrisburg, PA. This organization, of which Ubar Grotto is the newest member, is composed of the nine Grottoes currently extant in Pennsylvania, accounting for close to 1600 Prophets. This was the first meeting of the PGA that Ubar Grotto participated in and it did so in a big way! The members of Ubar took on the challenge of providing a hospitality suite for the visitors. Offerings included meats, cheeses, cookies, party mix, and plenty of beverages. Prophets came from all over the Mid-Atlanic region to attend this event, including several members of Azim Grotto, located in New York, New York. The PGA was also happy to have the presence of Pro. 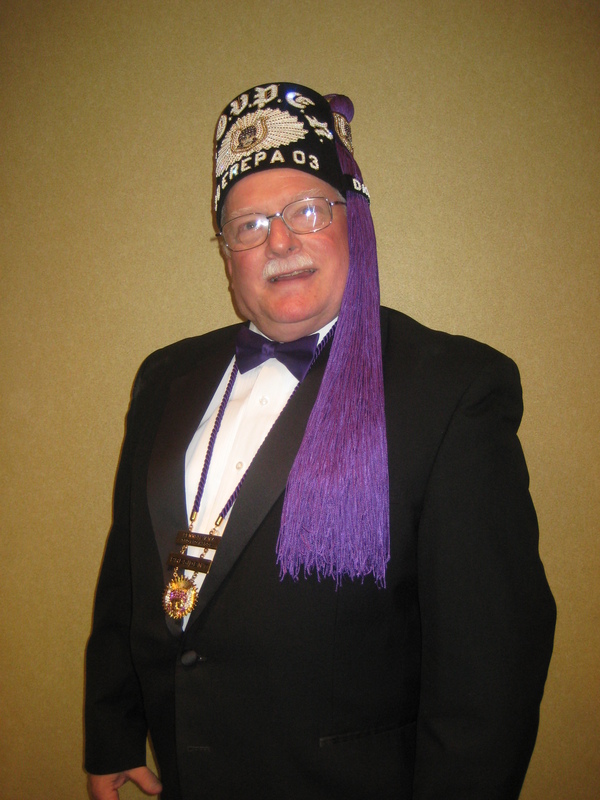 David E. Shapter, Past Monarch of Erepa Grotto and Trustee of the Humanitarian Foundation, and Pro. Larry Budd, Past Monarch and President of the Ohio Grotto Association. The event started on Friday evening, when the members of Ubar and Azim Grottoes got together at Lancaster Brewing Company for dinner. The night was made especially enjoyable by the strolling accordion player, who serenaded the Monarch and his lady (after dutiful greasing of the wheels by Pro. John Roberts, Master of Ceremonies of Azim Grotto.) Following the meal, everyone retired to the hotel to meet up with all of the other Prophets for an evening in the hospitality suite. Pro. George Hindson, Chief Justice, performed admirably as both bartender and receiver of jokes for the rest of the night. Saturday morning started off with a memorial service, provided by Pro. Robert Keas, Past Monarch of Kismet Grotto and Chaplain of the PGA. 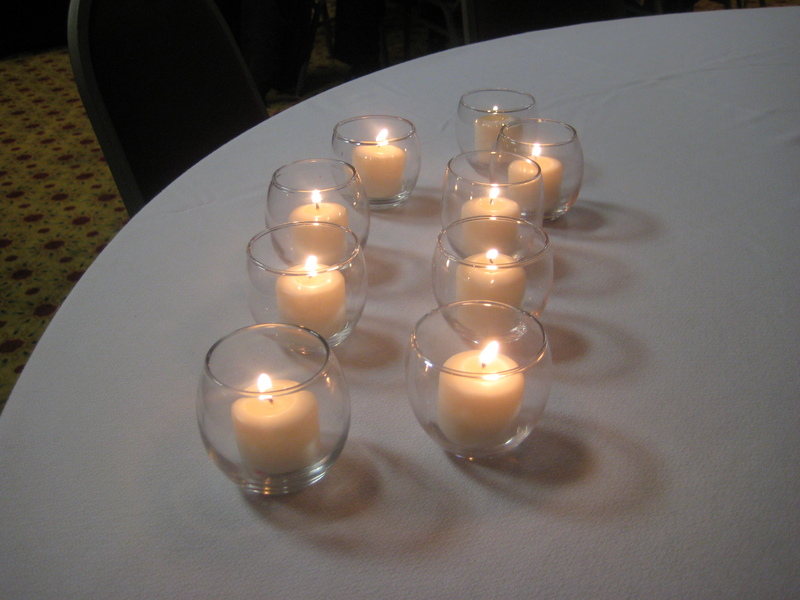 Representatives from each of the nine member Grottoes were provided with a candle to remember their fallen Prophets. Each candle was lit and then placed on the altar to commemorate those who had been called home. Following the service, Pro. Robert Lorenz, Jr., Past Monarch of Islam Grotto, and President of the PGA, called the meeting to order and began conducting business. Financial and administrative reports were read and approved. Pro. Dave Griswold, Past Monarch of Erepa Grotto and 1st Vice President of the PGA, offered a motion to donate $1000 to the Humanitarian Foundation. After a proper second, the motion was approved to much applause. Discussion was also presented on creating a new PGA website, which will be undertaken by Pro. Seth Anthony, Monarch of Ubar Grotto. This will be the first step in restarting the communication process, which will include a newsletter and additional mailings to member Grottoes. The location of the Spring meeting remains to be announced, but the next annual meeting, to be held in Erie, PA, October 4 – 6, 2012, was discussed. Following all of the business, the President opened up the meeting for elections. The following Prophets were elected to serve the Association for the 2012 – 2013 year. With the exception of the President, the officers were immediately installed. The meeting was adjourned and lunch shortly followed. After lunch, the Prophets and ladies were allowed some free time, with some going to the Masonic Villages at Elizabethtown for tour, while others enjoyed the sites of Harrisburg and the surrounding areas. In the evening, everyone met back up for a delicious dinner in honor of the President of the PGA and his lady. Following the meal, the new President of the Association was installed and remarks were made by several guests and dignitaries. Also, baskets were raffled off to benefit the Humanitarian Foundation. With the work of the day done, the party moved back to the hospitality suite, where further raffles were held and the good times rolled! Lots of good sympathy and fellowship was present, as all the visitors mingled and shared stories and ideas. At one point, members of Ubar Grotto challenged the visiting Azimians to a game of pong. Unfortunately, at the end of the night, the Azimians won the challenge. Hopefully they’ll be back next year to defend their title! As the event came to a close, everyone remarked at the great time they had during the weekend – all thanks to the Prophets of Ubar! Special thanks go out to Pro. Tracy Bitner, who served as the bartender all day on Saturday, as well as Pros. Ben Brubaker and Barry Brubaker who managed the food for the event. Oh, and we can’t forget Pro. Pete Ruggieri who helped with the planning and purchasing for the event. Thanks to all! If you missed this convention, know you missed a good time. But, we look forward to seeing everyone at the next meeting of the PGA!